The first ever direct flight between Scotland and China has landed at Edinburgh Airport in a momentous day Scotland’s busiest airport. The four-weekly, year-round service with Hainan Airlines from Beijing Capital International Airport is Scotland’s first connection to the Far East. It is a major boost for tourism in Scotland and increases business links with the Far East, both of which will benefit the Scottish economy. A piper from the world famous Royal Edinburgh Military Tattoo welcomed passengers from Beijing to Scotland before piping them off on departure. Malcolm Roughead, Chief Executive of VisitScotland, said:“This first direct service from China to Edinburgh represents a gear change for Scottish tourism and further cements Scotland’s reputation as a world-class destination. “As the Chinese market has grown over the years so too has the Scottish capital’s popularity with Chinese visitors and it continues to be the top destination outside of London. 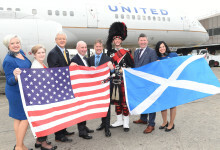 Gordon Dewar, Chief Executive of Edinburgh Airport said: “This is a momentous day as we connect not only Edinburgh and Beijing for the first time, but Scotland and China too. It is a route which has immense opportunities for our countries, from tourism and business to culture, education and more. “We know Edinburgh is second only to London for Chinese tourists and we are eager to welcome more people to our fantastic capital city, but it’s also about connecting people from Scotland to Beijing and wider China thanks to Hainan’s hub network. 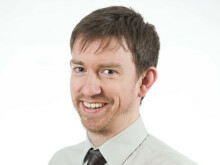 Paul Lewis, managing director of Scottish Development International said: "We’re working hard to ensure that more Scottish companies can take advantage of trade and investment opportunities in China, while at the same time trying to attract more Chinese companies to base their European operations here. A direct air route is a significant enabler of both these goals and we welcome Hainan Airlines’ first ever route between Edinburgh Airport and Beijing Capital International Airport." The route will be serviced by an Airbus A330-300 and includes a stopover in Dublin as part of an innovative flight model which links the three capital cities. On Tuesdays and Saturdays the flight arrives into Edinburgh from Beijing at 0600 and departs for Dublin at 0800 and then on to Beijing. On Thursdays and Sundays the flight arrives into Edinburgh from Dublin at 0910 before departing for Beijing at 1110. 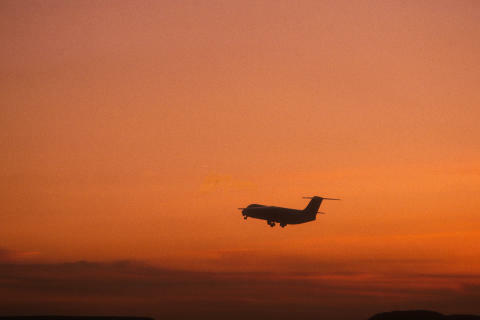 Edinburgh to Washington D.C. route takes off.